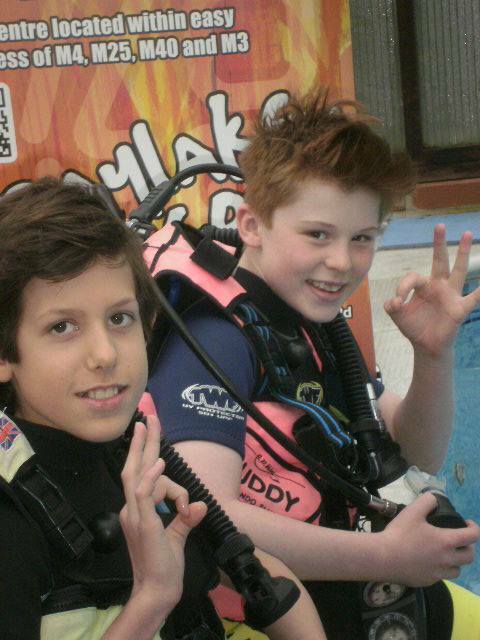 Junior PADI Diver Courses - LEARN TO DIVE with "idiveteam"
Why should you do your PADI Junior Scuba Diving course? Have you seen TV programmes, movies and read about the marine environment but want to experience oceans and coral reefs for yourself? Do you want to gain an internationally recognised PADI certification card that will allow you to dive on holiday? Interested in a career which involves diving from Stunt Person to Marine Biologist? Want to have lots of fun doing something really different in a safe and relaxed environment? Are you looking for a challenge for this summer? We have a fully heated private pool and classroom, perfect for making learning enjoyable. If you have answered yes to any of these then the PADI Junior Scuba Diver could be just the thing for you. 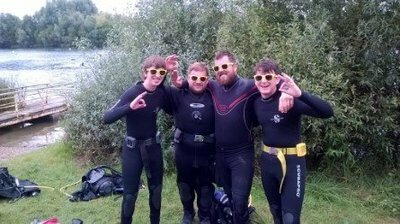 This PADI program is ideal for children aged 10 to 14 wanting to achieve a PADI diver certification this Summer in the UK. The PADI Scuba Diver course is a stepping stone to the PADI Open Water Diver Course. 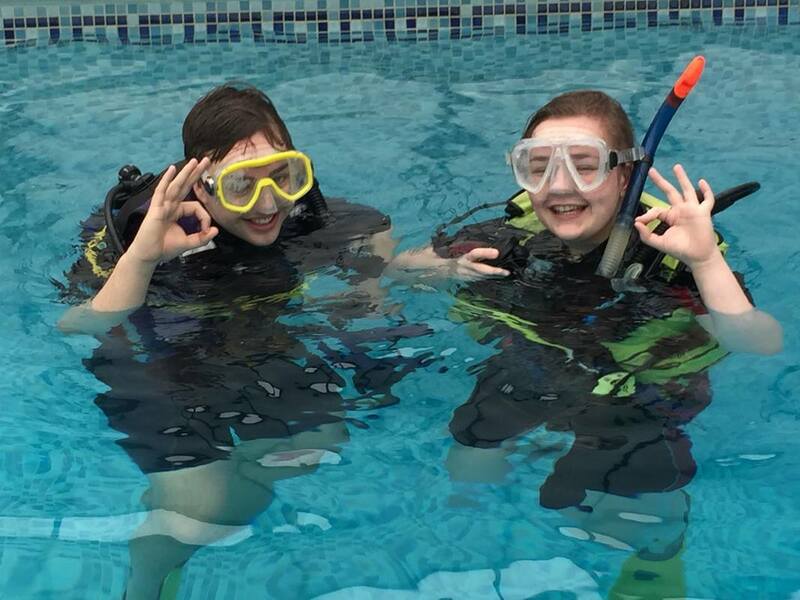 It's the entry level diving course and it enables children to learn to dive and then to dive with a PADI professional to limited depth anywhere in the world - so perfect for holidays. We are based at our private pool and classroom for the day. The course has a certain amount of self study prior joining us so when you arrive we go through the knowledge reviews from the Open Water Course manual. There are some quizzes to make sure that you understand the basics of scuba diving. At poolside we go through the kit - teach you how to put it together, how it works and how to use it. 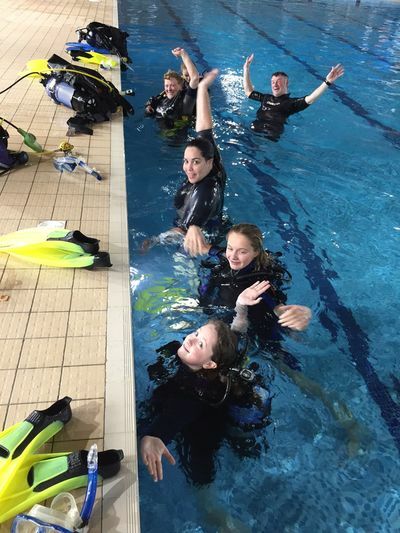 It's then time to get in to the pool for 3 underwater training modules where you will learn how to breath underwater safely, perform lots of skills and move through the water neutrally buoyant - which is like being in zero gravity! To finish your qualification we have 2 open water dives at a local diving lake. Starting the day with a full dive brief we then head out to one of the training platforms to perform some of the skills we learnt in the pool as well as going for an explore of the lake. There are lots of wrecks in there - some big fish and lots of crayfish! We also look at responsible diving and the environment. Dive under the direct supervision of a PADI Professional to a max depth of 12 metres. 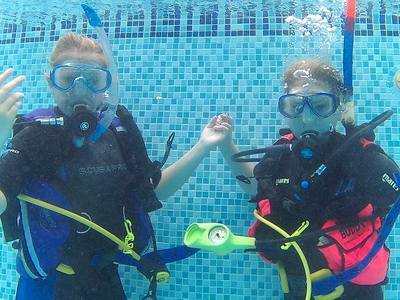 To enrol in a PADI Junior Scuba Diver Course, you must be 10 years old or older. You need adequate swimming skills (10 min swim/float) and need to be in good physical health. No prior experience of scuba diving is required. Contact Caroline at idiveteam for specialised course consultation and course price to suit the individual needs of your child. 1 full day in the class and pool, 1 full day in the Open Water, Course materials PADI Ultimate Crew Pack, all diving equipment, wet suit (unless not a standard size), pool tank fills, one open water tank fill, and certification card. All our pool and classroom sessions are conducted in a fully heated private training pool to yourselves with your own PADI Professional. We offer you and your children the luxury of flexible pool dates available to suit busy lives. We also offer one to one tuition, (note cost supplement for 1:1 Training). We recommend the Ultimate Crew Pack for the PADI Junior Scuba Diver Certification which contains the book, DVD, electronic dive tables and log book package. Although for the Junior Scuba Diver Certification the student only needs to complete the first three sections of the manual at this stage, Home learning with the Crew Pack means there is an option to use all the course materials in the future for continuing diver education. 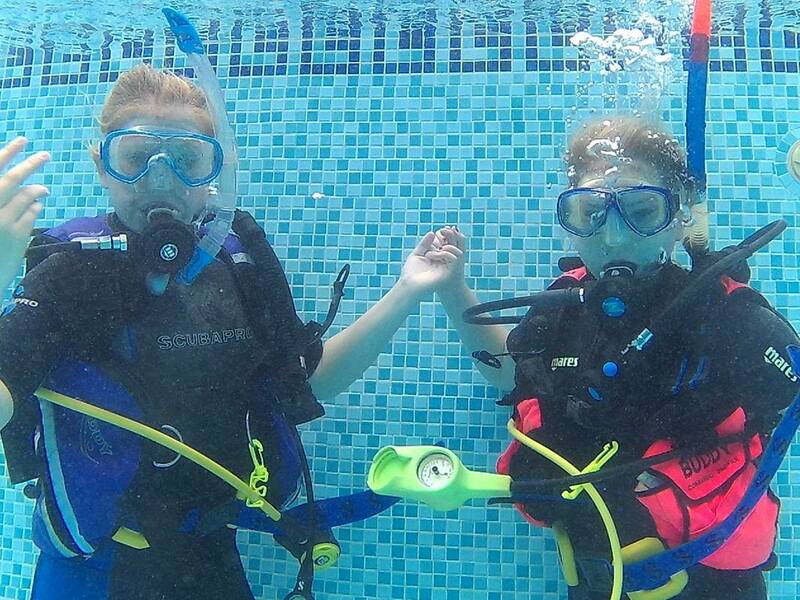 Upgrade to a PADI Junior Open Water Diver with an extra two days - click here. Please note; parent or guardian supervision is required on both days. 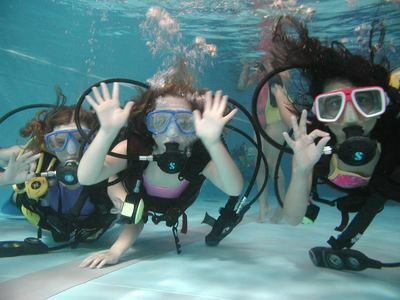 ​The Discover Scuba Diving cost is £29.95 per person and includes all equipment needed for the pool session. Allow a few hours for dive briefings and pool time.